Primark and BBC business editor Robert Peston have been listed as two of the fastest growing search terms by the newly re-butlered Ask Jeeves. 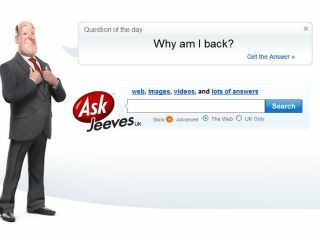 To celebrate the return of the butler as Ask.com moves back to Ask Jeeves, the company has compared searches from 2006 and 2008 to find the zeitgeist. Apparently trends on purchasing Armani suits and buy-to-let mortgages were prevalent three years ago, but the credit crunch has changed all that frivolity with low-cost clothing company Primark and doom-sayer/bringer Peston now flying high. Cesar Mascaraque, managing director of Ask Jeeves Europe, said: "The net is a great barometer of what people care about. "The shift in the questions we've been getting at Ask Jeeves has been really dramatic in the last few years. Of course, the economic downturn has had a massive impact. "People are turning to search engines for answers to questions they would previously have asked friends or family. "It's amazing how quickly internet search has gone from being a geeky and soulless experience to something helpful and inviting."